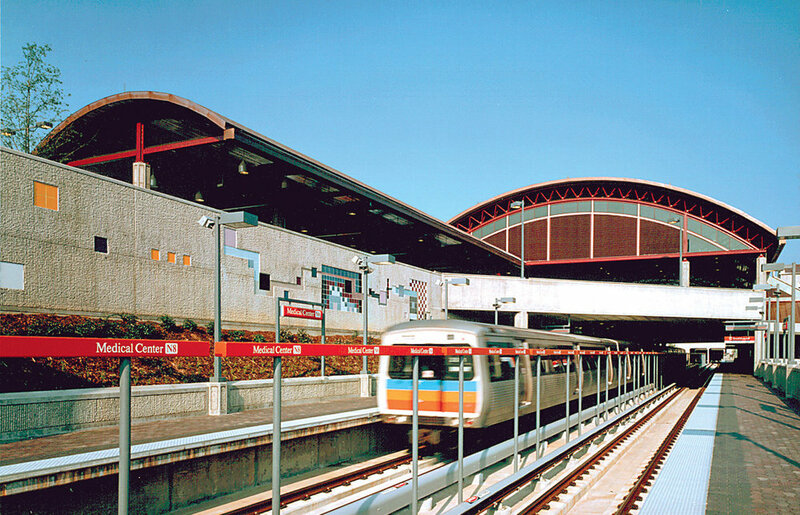 This MARTA station serves several major hospitals and the surrounding medical and business district. 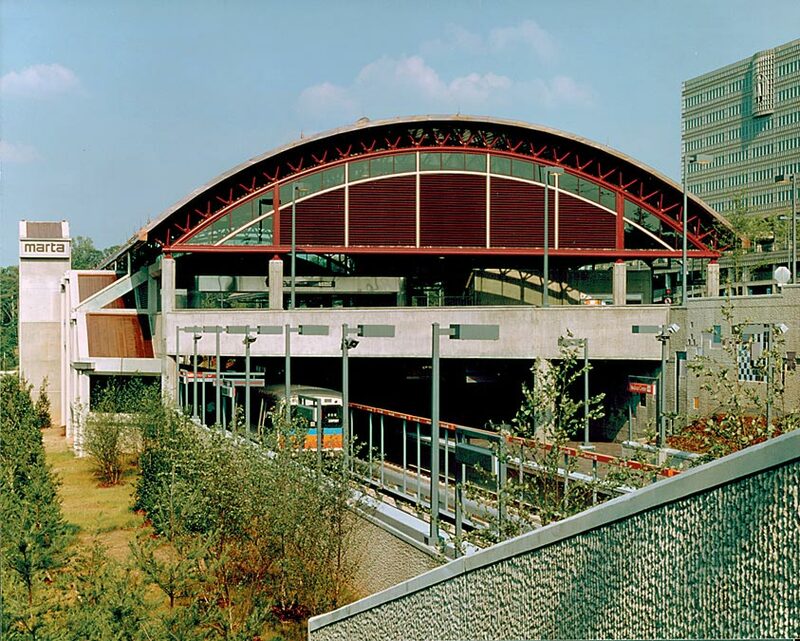 To allow for future expansion, the foundations were designed to accommodate additional platforms and fare gates for a light rail service, or people mover, that would provide transport to and from adjacent office buildings. A 750-foot ceramic and glass tile mosaic is embedded in a ribbed concrete wall along the platform, down the stairs and along the entire length of the station. Atlanta artist Marianne Weinberg-Benson named her creation the “The Healing Line of Light” because it represents the healing work of the area’s medical professionals as well as the role of the transit system, which serves as a healing line between racially diverse parts of Atlanta.